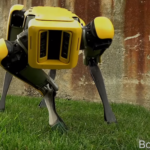 The new SpotMini robot from Boston Dynamics walks better than the real dog you saw earlier that morning. Credit: Boston Dynamics on YouTube. You’ve been on the job site for more than an hour, but realize that you forgot something in your truck. As you reach the top of the incline where the bulk of the crew’s vehicles are parked, your eyes are drawn to something odd. A strange, hairless, yellow, dog-like creature ambles up to you, and you both pause to look at one another. You’re looking at a small, four-legged construction robot that shuffles audibly, but quietly. It scans you with its bank of 3D Vision sensors where you expect to see mammalian eyes, but you’re not its mission. It carries on down to the job site. The future is weird, you think to yourself, nearly at your truck. Weren’t robots those incredibly loud, clumsy experiments that seemed 50 years from doing anything useful less than 10 years ago? Scientists and engineers at Boston Dynamics and other robotics firms have been very busy, and the robots are coming. The new SpotMini you walked by at the construction site is a showcase of the rapid improvements by every metric. It only weighs 30 kg, about the same as an average male Boxer breed, can carry half as much, runs on an all-electric battery for up to 90 minutes, and can manipulate objects with its 5 degree-of-freedom arm. It can also twerk, apparently. So the robots are getting better, but what can the SpotMini actually do for your construction firm? SpotMini could be one investment that helps address labour shortages for a company. Instead of waiting on surveyors, the SpotMini could be deployed at a construction site to quickly create a 3D map for design, quality control, or safety workflows, data which can then be shared on the hour with any employee in the company hierarchy from labourer to senior manager. The Boston Dynamics introductory video for the SpotMini is chock full of humour as the robot demonstrates it’s navigation and fine-motor abilities in a household environment, but it’s not much of a stretch of the imagination to envision them performing construction tasks as well. Even if it’s too soon for your company to pre-order one, how useful will these robots be with another 5 or 10 years of advancement? Enjoyed our content? 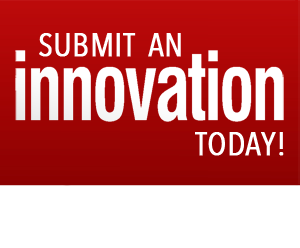 Let us know on Twitter, follow us on @CanCInnovations!